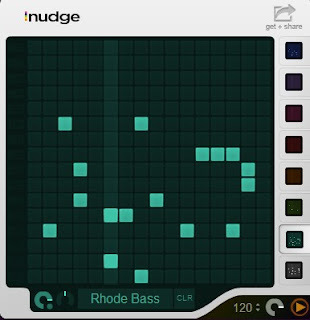 Nudge is a virtual instrument widget that allows you create and play music online, just use mouse clicks to create your own melody music. Very cool! 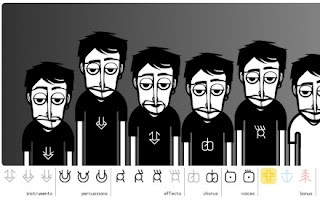 Incredibox is a cool site that allows you drag song icons to play a melody. Click on character it can stop current loop. A little bit hard to figure out how to do in the beginning. Melody Catcher is a music search engine, the best point is it uses melody to search music. 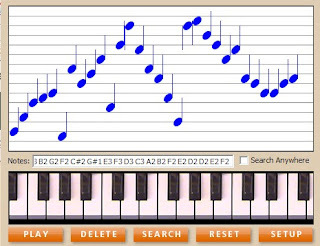 It has an instrument keyboard that lets you enter a melody, after that just click "Search" it will display some audio results. Very cool!